Nicklas Lidstrom's life for most of June, all of July and at least half of August was, for all intents and purposes, normal. He spent the summer in Sweden and returned to Detroit in late August -- typically the appropriate time to meet up with his Red Wings teammates for some informal practices to prepare for training camp. However, Lidstrom's return to Hockeytown this year was short and somewhat bittersweet. The now former Red Wings defenseman, who announced his retirement in a gala press conference at Joe Louis Arena on May 31, sold his sprawling suburban home in July and simply returned to the area late this summer to hand over the keys and take care of some minor final details. Lidstrom and his wife, Annika, were back in Sweden by early September, prepared to finally move on from the only life they've known for the past two decades. Has it been easy? For now, yes -- but Lidstrom knows that when the NHL starts playing again, reality will hit him square in the face like an errant puck. Is he worried about second-guessing himself when that happens? Not one bit. "I am clear with my decision to retire," Lidstrom, who leaves the ice as a four-time Stanley Cup champion and seven-time Norris Trophy winner, told NHL.com. "I was very comfortable once we got home to Sweden. A few weeks went by and I didn't have the urge to get back to skating again, being a part of a team, preparing for another season. I am very comfortable with my decision." As relaxed as he is now, Lidstrom can't ignore how different his life has become. After two decades of consistent excellence that is sure to put him in the Hockey Hall of Fame come November 2015, Lidstrom is now a full-time husband to Annika, dad to his four blond-haired boys ranging from 18 years old to 9 -- and a soon-to-be busy European scout for the Red Wings. Lidstrom is intrigued by his fledgling new job. He is looking forward to hitting the road with Detroit's chief European scout, Hakan Andersson, and he's interested in talking to some of the Red Wings' prospects playing in Sweden. However, Lidstrom can't say if he'll succeed in his new job, or if he'll even like it. He realizes there is still so much for him to learn about the other side of the business. "I played nine years of pro and when [the Red Wings] said they were hiring me as a scout, I knew what a scout did but I didn't know where to go," Detroit general manager Ken Holland told NHL.com. "I didn't even know what door of the building to go in, and when I got in the building I wasn't sure where to go to get the information. That's a learning process. "When Nick Lidstrom comes to the rink say in Columbus, he gets off the bus, walks in the door with the players, and goes to the locker room. Well, if you're not a player you come in a different door and go in a different direction. It's like being a rookie all over again." Because Lidstrom's playing career is partly defined by how he had a knack for making the difficult look incredibly easy, the Red Wings would like to believe the same will apply in his post-playing career. "I can tell you if Nick Lidstrom decides he wants to be a good scout, he can do it," Red Wings coach Mike Babcock told NHL.com. "He's brilliant." Holland said the reason Lidstrom was asked to be a scout was because the Red Wings wanted to keep him in the organization with the hope he would learn the ropes of the front office and still be a marketing asset to the team. 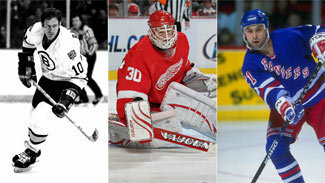 Detroit has done the same in recent years with Steve Yzerman, Jiri Fischer, Kris Draper, Kirk Maltby and Chris Chelios. The difference is those former Red Wings decided to retire and remain in or around the Detroit area, where they could be near the day-to-day operations of the team and always have direct contact with Holland and owners Mike and Marian Ilitch. Because Lidstrom is comfortable with his decision to move back to Sweden, Holland said the organization is trying to find the positives in having such a well-known employee overseas. The Red Wings want Lidstrom to attend tournaments with Andersson, to meet with draft picks, and to return to Detroit a few times a year to sit in on organizational depth-chart meetings and to do some promotional events for the team. "With the stature he has in the industry and the little tricks of the trade that he knows, eventually when he's got a comfort level in being around us and dealing with us no longer as the player-captain, but instead is one of us, he'll start to understand the development, the drafting, the patience, the path that it takes to get a player from draft day to helping you win in the NHL," Holland said. "This is an opportunity for him to figure it all out. "I want Nick Lidstrom to meet the people in our industry, go to some games with Hakan Andersson, and when eventually we get a Collective Bargaining Agreement we'll have him in training camp whether it's this year or next year." As for Andersson, he is thrilled to have a new traveling companion who has a totally unique take on the game. Andersson chose to leave Lidstrom alone over the summer so he could get settled in his hometown of Vasteras, roughly a 75-minute drive from Stockholm. Now that the Swedish season is starting up, he's planning to bring Lidstrom to some games, to sit with him in the bleachers, to pick his brain on players he likes, tendencies he sees and more. "I don't know what pace he wants to go at yet, but from a player's point of view, which I never had, it'll be interesting to see what he has to say," Andersson told NHL.com. "I'm sure there are things that he can see that I can't see. I want to ask him for his take, for what he sees." Both Andersson and Holland laughed when they were asked if an accurate depiction of the new Lidstrom would be this future Hall of Fame defenseman sitting in the top row of the bleachers wearing a winter coat and jotting down notes on a roster sheet. "I'm hoping he has a hockey bag filled with equipment waiting in the wings because he could still be one of the best defenseman in the National Hockey League," Holland said, joking. "But beyond that, when you've watched a person do a certain thing for 20 years -- it's almost half his life -- to all of a sudden see that person with a coat on with a pen and a pad, it looks strange. But it's an opportunity." Andersson said, "I don't know if he has it in him. I don't know if he knows himself. If he does, it's outstanding. If he doesn't, it's understandable." The one thing that's clear is how popular Lidstrom is in hockey circles across Sweden. He's been approached by several teams interested in bringing him on board in any capacity. Andersson said the Swedish Ice Hockey Association wants Lidstrom to come work for it too. "Everybody is asking about him, including other scouts," Andersson said. "Is he coming to games? What's he doing? It's big, there's no doubt about it. Everybody wants him to work for them. They're dying for it. People are calling me about TV shows and I just want to pass it on. I don't want to be his agent, but I don't want to just give out his number either." Lidstrom isn't blind to the interest. "No one has come out and said, 'We want you to coach or be an assistant coach,' but I've had teams ask me what I would want to do," Lidstrom said. He's not sure yet, which is why Lidstrom sees his new role with the Red Wings as being the perfect start in his new life. He's working on his terms, in his country, with more time reserved for his family than ever before. He can be a husband, a dad, an assistant coach to his 12-year-old son Samuel's hockey team, and a scout -- all at the same time. Different? No doubt about it. "And I'm going to enjoy it too," Lidstrom said. "I'm very comfortable with where I am right now."